Kewtech ACCESKIT earth spike & lead kit for Kewtech KT65, KT65DL and any multifunction tester using 4mm connectors. 1 pair of earth spikes. 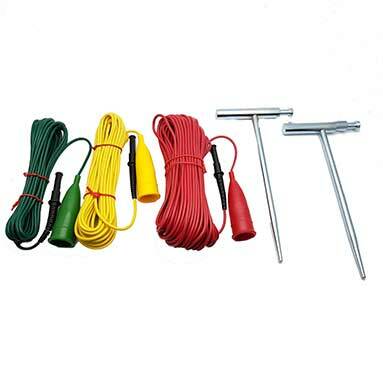 1 set of lest leads - 1x red 20m, 1 x yellow 10m, 1 x green 5m (ACC7095).